When local, organic peppers are in season, I love making raw red pepper soup. I absolutely love this raw food soup any time of the year. I made it the other night for our raw food retreat guests and it was a huge success. You can make this recipe without the spice or spice it up any way you like! For this raw red pepper soup, you’ll need a high powered blender. I personally use and recommend the Vitamix Blender. I wrote a comparison review on it that you can read here. A high-powered blender is one of the top 4 raw food kitchen tools I recommend stocking your kitchen with. 5 cored red bell peppers (you can always add more if you want it to be more red-peppery! 1 cup nut, seed or coconut milk. If you want a really creamy soup you can skip the water and double the milk content. 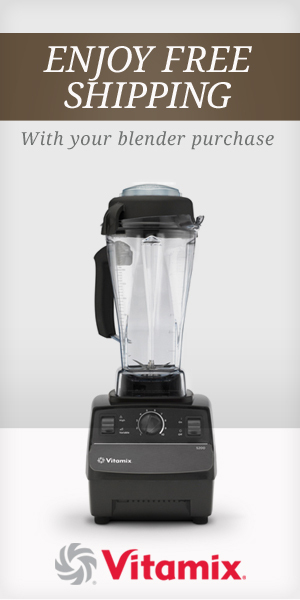 Blend up and serve warm from the vita-mix. Garnish with parsley and serve with raw pumpkin seed crackers or raw onion bread. Get this exclusive content straight to your email inbox.